Sometimes, it takes me a little bit before I realize something. I generally like to make many observations before I start to make make some inferences, some conclusions. In this case, I have been thinking about the VIP package for these upcoming shows without really thinking about what is included. It took me a few days of just looking at the bag before I started to really think about what I could learn from it, which I know sounds weird. Stay with me, though. First of all, while I noticed that the bag was white, red and black, I didn’t really think about why that might be significant. If you have no idea what I’m talking about, see picture below. What’s the big deal with the color scheme? Well, when I bought tickets to shows coming up in February, I assumed that these shows would be shows connected to the Paper Gods tour. After all, I tend to think that any show is connected to the most recent album until new music comes out. Obviously, there are exceptions to this rule. Shows in 2003 weren’t connected with Pop Trash but with the reunion. That said, shows in 2009 still feel like they are a part of the Red Carpet Massacre era. So, I assumed that these February dates would be like the shows in 2017 or 2016 in that they would be Paper Gods focused including the set list. Now, I am not so sure about that. First of all, there were discussions on the most recent Katy Kafe about songs that the band is “dusting off” to play at these songs. If they were keeping things exactly as is, I doubt be practicing new (old) material. Then, there is the color scheme. Paper Gods was all about light blue, pink, light purple. It was not black, white and red. Could this be a sign that these shows won’t be really be Paper Gods focused in the same way? Obviously, I don’t have an answer but I like there is a mystery, an unknown. It makes me more excited about the shows. Will I be disappointed if it is still Paper Gods tour like? No. What about if it feels new? I would be good with that, too. I’m not picky. It just makes me wonder where these shows fit in the Duran tour timeline. While I ponder that, I examined the bag some more. As I stated in the blog post about this package, the bag has the song titles in order on the bag. These titles seemed to be in order by album. Is that really true? The answer from what I can tell is sort of. The first album is listed in this way: Girls on Film, Planet Earth, Anyone Out There, To the Shore, Careless Memories, Night Boat, Sound of Thunder, Friends of Mine and Tel Aviv. No Is There Something I Should Know. No b-sides are listed. The Rio album seems normal with no b-sides listed. Then, it moves right into Seven and the Ragged Tiger. Still there is no Is There Something I Should Know. Interesting. No Wild Boys. No A View to a Kill. Uh. Notorious through Pop Trash all seem normal and in order without any sort of b-side or bonus track listed. What about the most recent albums? Astronaut does not list any bonus track like Virus. Red Carpet Massacre does not include Cry Baby Cry. What about All You Need Is Now? This one has the 14 tracks from All You Need Is Now to Before the Rain. Paper Gods only has the 12 main songs listed. No bonus tracks there either. I’m not sure what if anything that means. No matter, I still find it interesting. They clearly decided to include only songs that appeared on albums, rather than the one offs. Bonus tracks and b-sides were not listed either. I wonder how much space those songs would have taken if they did. While I think it is super cool that they listed the songs on the bag, I have to wonder if this isn’t a step into that 40th anniversary celebration. After all, it could be a way to acknowledge the songs found on the studio albums. What do the rest of you think? Should they have included those songs that are missing or is it good to focus on songs on albums only? All in all, these little signs make me wonder what is going to happen from here. I like to see these little shifts. I give me the security knowing that they are still working, still trying to think of new ways to send out the Duran brand. Ignoring the question of are there shows or aren’t they for now, I will share my thoughts about the final two articles in Classic Pop’s Special Edition for Duran’s 40th Anniversary: Paper Cuts and Extraordinary World. Obviously, the first articles focused in on the Paper Gods album and Extraordinary World dealt with winning an award in 2016. Of course, I will give my overall thoughts about the magazine as a whole at the end as well. This article starts out on an interesting, more somber note. The author states that it took Duran a long time to craft the Paper Gods album but quickly points out that Duran won’t be making many more albums. They quote John, “We’re not going to make many more albums. We have to make the most of it when we do…” Ouch. While I’m not stupid and recognize that none of us are getting younger, I still don’t like thinking or imagining a time when Duran no longer exists as the band does now. Emotionally, I cannot handle that thought. The beginning of the article discussed how long the album took. One quote that grabbed my attention came from Simon, “At this point, if we make anything that’s at all less than our previous records, it would signal the beginning of the end.” Wow. If I had read that quote before, I didn’t pay it enough attention. I can see why he would say that or why they would feel that way. At the time, I was so anxious for more Duran Duran that I just wanted the album done. Now, I can recognize the need for quality. It is hard to rush art. John provided the counterargument indicating that he didn’t want to just tinker with the music for little to no reason. That’s a fair point, too. I’m sure it is a delicate balance. While there is a lot of interesting information in this article, the part that drew my attention focused on the band’s history regarding female fans. The author describes their music as unisex, appealing to both men and women. Simon stated, “We had our noses absolutely rubbed in it that Duran was ‘music for girl’. But there’s something in our music that speaks of compassion, which insecure teenagers do need. I think our teenage audience picked up on that. A lot of bands at the time excluded women, by trying to a lads’ band.” Nick continued with, “We’re not frightened of our fragility and sensitivity, which a lot of rock artists are.” I completely appreciate this about them. Even as a kid I knew that I would be safe with Duran Duran. They were not looking to use me or other women in the way that I felt from other bands. There was some discussion about the back catalog, especially since Duran had signed with Warner. The band indicated that they would like to release their old material “properly” while at the same time avoiding bad deals like having Hungry Like the Wolf used in all food commercials. There was mention of Reportage, the album recorded with Andy but never released. They seemed to think it would be possible if mixing was done and with Andy’s permission. I bet fans would be excited about that! This article originally came out in 2016 when Duran received the ASCAP Golden Note Award for songwriting at a London ceremony. This particular award is given to artists who have achieved significant career milestones. Some other winners include Elton John, Tom Petty, Stevie Wonder and more. That’s pretty cool! I don’t remember hearing about this award before. The author then gave credit to everything Duran has accomplished in their careers. Interestingly enough, Nick commented about how these days there is little “mystique” to pop music as artists and albums seem to be on some sort of assembly line in order to get released quickly. Needless to say, he is not a fan. As much as I would love to have new Duran music all the time, I recognize that I value things more when I have to wait and anticipate them. If I went to Duran concerts every day, I would probably cease to be excited about them and that would be super sad. This article ended with a discussion about Duran playing festivals. Simon’s argument was that festivals are the real test. It is one thing to play to fans but to play at a festival, you have to be really good. That’s fair from their perspective. I can understand that. From a fan’s perspective, I hate festivals. Enough said. I really think that this magazine was well put together. Clearly, there was a lot of attention to detail with little extras included frequently. Visually, it is very Duran with a lot of images, cool graphics, logos and more. In my opinion, it was well worth the money. What did the rest of you think? I am loving this Classic Pop magazine special edition on Duran Duran’s 40th Anniversary. Over the past few weeks, I have read a number of articles and commented on my reactions in a series of blog posts. Not only do I have more articles to read and write about today, I will only be about half way through the magazine. There is so much here! Today, I will cover the articles about the Wedding Album and album art. This review is similar to the one for Seven and the Ragged Tiger and Notorious as opposed to the lengthy one on Rio. The extra features for this article include a blurb on the players and the tracklisting. I’m not sure how many people are interested in who added vocal samples but it is nice to have the information in one place that is easy to find and read. I’m always intrigued by the subheadings of these. In this case, the author describes the album in this way, “going back to their roots and injecting a heavy dose of introspection.” Interesting. When I think of the album as a whole I am not sure I hear introspection in all of the songs. In fact, I tend to think more about awareness to the world in a way that hadn’t been included much in the past along with some songs of introspection. Again, the author begins by providing context, including what the music world was like in 1993 and how a lot of people had written off Duran. Some, claimed the article, called Duran “Done Done.” I never heard that and am horrified by it. It never ceases to amaze me how cruel critics have been to Duran throughout the band’s career. This article chose to narrow its focus to the band’s album art. The art for singles is also included. I, for one, appreciate the fact that there was an entire feature dedicated to this. Typically, when people cover Duran Duran, they usually discuss the band’s history, music and videos. If there are any extras, then fashion is brought in. Rarely have I ever seen anything that covers the fabulous album covers. I love the fact that the article moves through the chronology of the band’s design from their early posters created by John Warwicker to Malcolm Garrett’s designs on the first albums all the way to the Paper Gods album cover. Many of the various album and singles’s art were covered in detail. For examples, I adored reading about the Planet Earth single cover. I think it is my appreciation of art that makes me really love that it goes into such depth on both the images but also the design, including what the entire package might mean or represent. If you are someone who loves analyzing Duran’s covers, this article is definitely the one for you! If that wasn’t enough, it mentions Nick’s book of photography, Interference. Lots of good stuff. Next week, I’ll cover Top 40 Greatest Duran Tracks and Elder Statesmen. This is the next installment of my (now) series on Classic Pop Magazine’s Special Edition for Duran Duran’s 40th Anniversary. This weekend I will give some thoughts about the last album from the 1980s that the magazine covered, Notorious, as well as the summary of the 1990s with an article, “A Life Less Ordinary.” I’m anxious to compare the review of Notorious to the ones on Rio and Seven and the Ragged Tiger. I also wonder about how the 1990s will be discussed. Will it just be about the Wedding Album or will there be discussion on Thank You and Medazzaland? What about the Liberty album? Read on, people. Like Seven and the Ragged Tiger, this was a much shorter review in comparison to the one on Rio. There is no extra sections on some specific songs or the videos. The only extras within the article are the track listing and information on the players. The author then discusses Nile Rodgers’s role within the album and mentions the addition of Warren Cuccurullo and Steve Ferrone. What is interesting is that they are referred to as members rather than hired musicians, which is less than precise. The last part of the review mentions how the album had not done nearly as well as the previous ones, chart wise, and how this disappointed John Taylor, in particular. This article starts out focusing on Liberty, the band’s first album of the 1990s. In it, there is mention of the poor chart performance, indicating that this led to the decision not to tour and even canceled videos for First Impression and Liberty. Yet, that is all that is said about that album as the author quickly moved on to the Wedding Album. While I understand the decision, I always feel like Liberty is brushed over more than it should be. The article did discuss Thank You to some extent including which songs they chose to cover and how it did in the charts. Sigh. I have to admit that I wish more was discussed there. I like the stories about which songs they chose and why. How come an album that should have been done quickly wasn’t? Why did it do so poorly in the charts? I would like more information there and less basic facts. That said, there was a lot about various moments within that time period. For example, some topics included were the Power Station reunion, John’s struggle with addiction, the appearance of Roger in 1995, John’s solo album and more. Similarly, Neurotic Outsiders was covered in this section. This makes me wonder even more about why TV Mania was listed in the side projects article about the 1980s. Why wasn’t that project in the 1990s or even beyond that? Weird. Like many of the previous articles, I did learn a few new tidbits about the band, which I appreciate. In some cases, I wish that they had covered more of one thing over another but generally well-rounded and informed. This marks the third blog that gives a little summary and my thoughts about the next set of articles in the Classic Pop Special Edition for Duran’s 40th Anniversary. In the previous posts, I took a look at the articles, “Conquering Planet Earth,” “Rare Photos,” and “Rio”. Today, I’ll cover “Seven and the Ragged Tiger” and “All Excess Areas”. Mind you, this only takes me through the first 40 pages of the magazine that ends at page 129! First thing I notice about this article is how much shorter it is compared to the one on Rio. Then again, the first album did not get this coverage at all. There is not the focus on the songs and the videos like Rio had. I guess that I can understand why. Rio was/is far more popular and one could argue that Seven was not as important in the history of Duran. Nonetheless, I’m anxious to see how this album is covered. The article starts out with quite a bang. The subheading reads, “…album saw them threatened with becoming victims of their success, in danger of being overexposed, they saved their reputations – and their money – by spending the year abroad.” Victims of their own success?! While I don’t necessarily disagree, I don’t think I have ever read it or heard it in that way. I have often thought about how the band members might have felt then when fame was all encompassing from fans everywhere to an insane schedule in order to maintain the success. The article gives a quote from Simon in which he explains about how the album was about “ambition”. The first part of the article focuses on how the writing and recording was different than the previous albums. There is a quote from Nick about how the songs “were built rather than written”. This is literally the first time I heard that, which makes total sense to me. I think you can hear that with all of the various layers on the songs on that album. According to the article, EMI started getting nervous with Ian Little producing so they brought in Alex Sadkin who kindly decided to keep Ian on. All of that was new to me, too. It makes me want to know more, that’s for sure! I wish that the articles included their references so that I could check out sources for myself. The picture that accompanies this article tells me it is about the side projects of 1985 as the title did not give it away. A classic Arcadia picture leads the reader in and the subheading leads me to think the focus is going to be how the two side projects show the two sides to Duran (arty and rock sides). As the article begins, I finally understand the title about “excess” with the sentence, “…where every artistic whim in the studio was fully indulged.” Ah. I get it now. Interestingly enough, the majority of the article focused more on Power Station rather than Arcadia which does not seem typical to me. While I knew of the history listed in the article, the author added some ideas that were new to me, including bad blood with Robert Palmer. The article claimed that he used Power Station to jump start his own career and that he believed that he created the Power Station sound. Fascinating. Again, I wish that I had a list of their sources. I did appreciate that it mentioned the second Power Station album, which rarely gets talked about ever. I have to admit that this section of the magazine had a few eye-opening ideas. As I mentioned a few times, I wish I knew their sources! Anything surprise all of you? I am finishing up my weekend by taking some precious time to go through and read more of the Classic Pop: Special Edition for Duran Duran’s 40th anniversary. Today, I will cover the Rare Photos and Rio album articles. Apparently, this photos that are deemed “rare” came from Kings of the Dark Moon, by Justin Thomas, which is described as a candid photo book that focuses on the rise to fame. I’m unfamiliar with this book. Anyone know anything about it? In looking at these 6 pages of photos, I notice that many of them have a familiar flavor to them. It feels like I have seen other photos from the same time or place but not these specific ones. No matter, I love seeing new (to me) photos of the band. I suspect that this is a carry over from my childhood when I, like so many others, could not get enough pictures of Duran. I remember trying to one up my friend by having a new picture that I could share with her. It was like some sort of weird competition except that I don’t recall ever getting angry or annoyed by the results. After all, we both benefitted by having new pictures to look at! This article obviously dived deep into the band’s second and arguably their most popular album, Rio. It includes sections on the songs, the band members, the videos and more. This is one album that I feel like I know a lot about so I wondered if I was going to learn anything new. I cannot say that the article did have a lot of new information but it did a nice job of combining different sources to tell the story including interviews, John’s autobiography, and more. I appreciated that they covered the context of recording (the band had just returned from the US), to the album cover, to the remixes, and to the videos. It was nicely done and would be a great introduction to the album’s history. The column about the songs on the Rio album was also nicely done. Again, I’m not sure how much new information I learned but the author summarized what is known about the songs well. It seems to me that each song has a fun fact included in the article. For example, it mentions about how the beginning sound in Rio came from Nick throwing iron rods into a grand piano, played backwards. I love those cool little bits of info! The little blurbs on the band members were interesting and unlike what I was expecting. I figured that they would be like how band members’ bios were written in the teen magazines I had read as a kid. The bios would include family information, birthdates, how they got into music, etc. These only really included information on influences, when they joined the band and their history within. For example, Roger’s talked about when he left and when he returned. What was interesting was Andy’s. It mentioned that he left in 1986 but did not include any statement about how he returned for awhile during the reunion. Weird. The videos section highlighted some of the videos from the Rio album, including Hungry Like the Wolf, Save a Prayer, Rio and the Chauffeur. I have to say that this section disappointed me the most. Perhaps, I feel this way because I didn’t learn a whole lot new. Plus, I disagreed with how the Rio video was interpreted, “Rio encapsulated everything that they were about…a glorious depiction of Eighties excesses: girls, glamour, yachts, sunshine and fashion, all set to a high-octane soundtrack.” I think that is what everyone thinks Rio is about. Yet, I view that video completely differently. I see a bunch of guys who should have no problem winning over a woman with their money, fashion, location, etc. but they end up falling on their faces as the woman is unimpressed no matter what they do. Overall, though, this next section of the magazine was well-done. I look forward to reading more (and reviewing more!). Guess what came in the mail?! That’s right. My copy of the Classic Pop: Duran Duran 40th Anniversary Edition magazine. Right away, I can see that there is a LOT here as it is really over 100 pages. Clearly, I won’t be able to read it all at once, not if I want to really take it in. So, I will simply read one article at a time and discuss it then talk about the magazine as a whole. After all, I can tell that the creators took time to worry about the details. This can be easily seen because as soon as you open the magazine there are pictures of various album and single covers. It reminds me, as a fan, about how much the band really has done. I loved reading the welcome written by the editor. 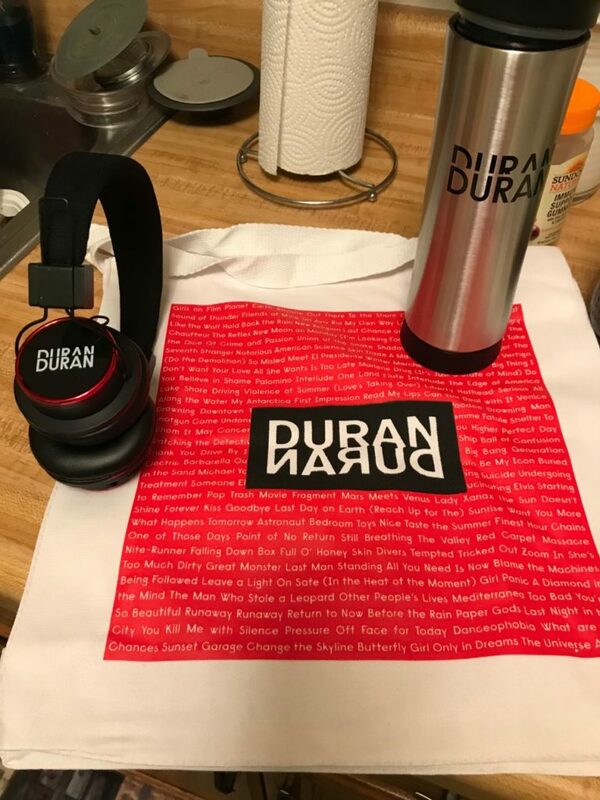 Said to say that it is rare to read glowing words about Duran Duran outside of places like our blog or other fan creations. Yet, this intro was all that and more. Clearly, the editor views Duran as a band who has had adversity but has worked hard to be successful. “They’ve marked out by a peerless flair for melodic songwriting as well as a remarkable resilience, digging in and clinging to their dreams when the naysayers foolishly try to write them off.” Exactly. Then, before the first article, the magazine acknowledges the graphic design and art used for the album and single covers. I approve. Initially, I assumed that this first big article would just be about the very early days but it goes all the way up through the 1980s. Before I read the article, I did glance at the photos. I assumed I had seen most of the Duran pictures before but I swear some of these images were new to me. I love that! The beginning part of the article focuses on the formation of the band and the Birmingham scene. Nick is quoted in the article talking about how the Rum Runner was “more real” in comparison to the London scene due to the Berrow brothers bringing music from the States and with the look of the club with mirror tiles and neon. That said, I’m not sure that they got the history totally right. I think the list of people is accurate but I’m not sure things happened in the order that they are listed, specifically around the topic of lead singer. For example, it sounds like Andy was in the band a long time before Simon and I don’t think that is true. Of course, the band’s success was featured as well. The author commented that the band members’ private lives were quickly impacted by all of the fans and attention. Now, artists would be able to post a picture or tweet to appease their fans but then they couldn’t, resulting in fans following the band everywhere, claims the author. Interesting. I don’t know if I agree with that idea. Would a picture or a tweet really satisfy fans then? I think a lot of fans would have just wanted more and more and more. What do the rest of you think? Would that have eased the frenzy? Overall, I think the article did a nice job summarizing the 1980s. I appreciate that it included some of the late 80s as too often that part of Duran’s history gets ignored or glossed over. I also liked that the interpretation on issues like fame made me think. Lastly, the little touches made it extra special. For example, the article covered four tracks more deeply to show the range of Duran’s work. I liked that and the fun little facts written in tiny writing on the side. The magazine did not waste space! Now, I cannot wait to have a chance to dive deep into the rest! I have to admit that this summer has not been my happiest. I won’t go into details about why but there has been little fun and a lot of time feeling pretty lonely. As I explain to myself that this is temporary, I also seek out little joys, things that give me something to look forward to or provide me a few minutes of escape. Typically, the little joys include trying to make plans with friends, even if it is just for coffee, drinks or dinner. Another method I use is to shop. Now that only works if I don’t need to worry about money and what I’m buying is actually something I want. I’m not someone who can just hit the mall, buy a lot of stuff and feel better. Nope. The shopping therapy only works with something that I would long for. This summer, frankly, has had little of that, too, unfortunately. My bank account is happy but I remain in the funk. Then, finally, something caught my attention!! Who has heard of the magazine, Classic Pop? Wikipedia describes it as a British music magazine. Over the years, I have enjoyed it as it typically covers a lot of artists from the 1980s. This means, of course, that Duran has been included, time-to-time. Does this mean that Duran is in the latest edition or something? Oh, it is more than that! Way more than that! I didn’t need to read more. The description sold me in the first sentence. 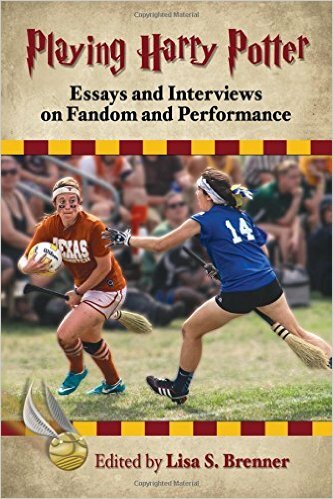 Did I also mention that it is 132 pages?! Double sold! So, how much is this going to cost me, I wonder, as I discover that there are choices! Oh no! Choices?! Now, I’m suddenly feeling a bit overwhelmed. What are the five choices? Apparently, this special edition has two different covers. One is a 1980s cover and one includes a modern day picture. The collector’s bundle includes two copies, one of each cover. On top of that, you get 4 art cards. This packages costs $42.98 if in the U.S. or Canada and can be purchased here. This package includes a copy of the magazine with the modern day picture and the 4 arts cards. This costs $27.99 in the U.S. or Canada. Click here to buy. This is exactly like choice 2 except the cover includes the classic 1980s picture and can be bought here. This choice is just the magazine itself. In this case, it has the modern day band picture. It is $15.99 for those in the U.S. and Canada and can be bought here. This is just like choice 4 with the 1980s picture on the cover instead, which can be bought here. Now, it should surprise no one that I indeed made a purchase. I have no idea how quickly this will arrive to my doorstep. That said, I promise that once it is in my hot little hands I will be covering it here by sharing my thoughts about the magazine as a whole and the various articles. What about the rest of you? Who has purchased a copy? Which one did you get? The last couple of days have been filled with less than fun activities, thoughts, etc. During most school years, I’m anxious to finish, but this year, that feeling is more intense than most. There are a variety of reasons for that, including a tough group of kids, staff turnover and my own frustration with policy changes. I am tired of working all the time and need a break. There are projects that I want to work on but need more time to get to work on them. Despite my end-of-the-year focus on school/work, I cannot help but to think of the Katy Kafe that I wrote about yesterday. In that Kafe, John Taylor mentioned that the band is thinking about focusing on the summer of 2020 for 40th anniversary celebrations. I have a few things to say about that. First, let’s talk about summer. What does that mean to John and to the rest of the band? He mentioned about how Simon joined in 1980, which is why they are thinking about the summer of 2020 to celebrate. That makes sense to me. The question I now have is a simple one. Simon joined the band in May of 1980 and the band played their first gig in July. Is the summer then May or July??? Technically, scientifically, summer starts in June. Thus, did John mean July of 2020 rather than May? I sure the heck hope so. Seriously. While I constantly talk about changing careers, I don’t really know that it is going to happen as there is still a lot about teaching that I love. Even if I do find something that is as meaningful as teaching, I cannot imagine not focusing on the school year, at least to some extent. May is the worst time of year for me to do anything related to fandom. It is the end of the year. There is always a lot for me to do to finish up the school year. For example, the last couple of weeks have featured additional tasks to analyze how the year has gone for me, professionally, including what my students have learned. I couldn’t squeeze in anything else in. On top of that, my school district (and most I know) also have rules about taking time off in May. Districts figure that summer is around the corner so there is no need for a break in May. I get all of that. I did manage some time off in May of 2011 for fandom purposes. It was super hard to get done, though. I had to file lots of paperwork and get help from people in power to do so. I don’t ever want to do that again. July is good for another reason. In July, my responsibilities are minimal. While summers usually mean developing curriculum, taking classes, etc., I get to decide what and when. If I know that there is a lot of Duran activity happening, I would plan everything else around that. I would also have the entire month to play, if I needed. I wouldn’t have to rush home, in order to get back to work. I could take the time needed to celebrate Duran and their anniversary properly. That would be great! All that being said, I know that nothing is definite. John mentioned that they had been brainstorming different things and was uncertain about what will happen exactly. I get all that. Nonetheless, I know that I appreciate that John gave, at least, an idea of when they might have some cool stuff planned. This gives me time to save money. It also gives me something to look forward to. At this time of year, I need that even if it is two years in the future. This particular one features Simon answering fan questions, twenty of them in fact! As always, this is not a word-for-transcript. Instead, I’m just sharing the highlights along with some of my commentary. If you want it all (and I know you do), get yourself over to DuranDuranMusic to listen for yourself! This means that I am not going to cover every question but will pick out the most interesting to me. I’m also going to divide them into band related questions and Simon only questions. Question: Does Simon write lyrics all the time or just when an album is coming up? Question: Why is Last Chance on the Stairway not played live? Simon focused on the middle part of the song that features a vibraphone that he would have to relearn. I suspect some fans would love for him to do just that in order to hear it live! Question: Which DD song from the 80s should get a 2018 make-over? He suggested Late Bar or My Own Way but commented about how fans really aren’t that keen with changing songs. (I have to admit that is true. I remember freaking out a little with the changes done to Too Much Information live in 2015. To my credit, I actually liked it a lot once I got used to it.) Katy and Simon focused on changes to Hungry Like the Wolf in 1993. Simon wants to know which is better: album version or the live 1993 version of that song. Answer on Twitter via #AskSimonMarch. Question: What was Simon’s favorite DD video to shoot? Simon really like the ones filmed in Sri Lanka because it was so amazing being there. He enjoyed the action shots from Hungry but loved the relaxed feel of Save a Prayer and how there was more band in that one. Question: What was the inspiration for Cinderella Ride? Question: When does the band celebrate the 40th anniversary? Question: Which song would you never get tired of performing? Question: What does it feel like to be a band that is so loved by many for so long? Question: Has the SYN track, “Closer to Your Bed” ever been released? If so, where can people hear it? Simon does not think that it has but maybe it should be. He went on to share that when he was 12, he made a 4 track record when he was part of the church choir. His old choir master has a clean copy and thinks it should be released. Simon is considering doing that as a fundraiser in which the proceeds would go to the church choir. Would people be interested in buying a copy? If so, tell him again on Twitter with the hashtag #AskSimonMarch. Question: Who should play him in a movie? Simon suggested Aaron Johnson, Ryan Gosling, or even Margot Robbie. Question: If he could take out a giant billboard, what would it say? Katy must have said a number of times that this is one of the best Kafes they have ever done. I cannot disagree. As I stated earlier, I didn’t include everything because there was so much. Some of the questions I didn’t cover here: One thing Simon has tried but wouldn’t do again, which 80s peer is he still in contact with, whether or not the duet with Isabelle Adjani would ever be released, who should cover a Duran song and which song, and more. I, for one, applaud the questions as they were super interesting and loved hearing Simon’s responses. I look forward to more Kafes like this one!